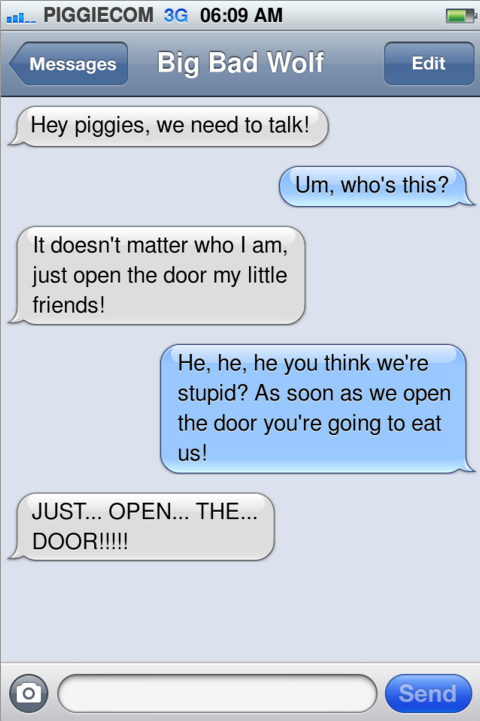 Latham : Ifake Text: Little Piggies Conversation. Thomas and I have made this text using the website Ifaketext. 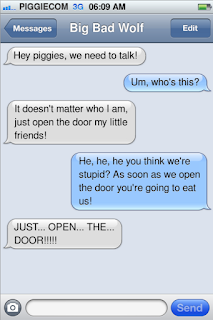 We had to practice our dialogue and whats more fun than using Ifaketext. It is a narrative based text about the 3 little piggies. The wolf sneaks up on the piggies and asks them if he can come in but the piggies are smart and they tell him no!